Customer Relationship Management, or CRM, applications turn small businesses into profit powerhouses. In an interesting infographic by Salesforce and Quickbooks, they show that a CRM application can help increase sales by up to 29%, sales productivity by up to 34% and forecast accuracy by 42%. CRM apps help businesses save time by proving important information in friendly format that’s easy to digest, and show business owners exactly what they need to do to improve their relationships with customers/leads and increase sales. CRM apps also give businesses the full story of their accounts through organizing all of the data, and further present the results. CRM apps are the reason why businesses become companies solely for their customers. The apps gather customers’ data from social media, then deliver it to the app user in the form of a feed, which is extremely effective for business owners. This is because they are able to see what their customers are doing, their expectations and any other useful data and information owners may need. The apps will also compile other data with email, and organize it with all your contacts. The app will further synchronize and compile this data along with their preferred clients’ emails, and present it in a way that helps you find important information quickly. Spreadsheets work, sure, but they also take a lot of time. The saying that has been around for years, ‘time is money’, is really true. These apps also help business owners keep their current customers. This is done by organizing leads from media sources, managing and tracking leads by monitoring the channels of social media, and managing the overall lead conversion by sending the appropriate information to a number of in-house users – usually sales reps. The main reason why CRM apps are so useful, and a must-have, for business owners is because it saves them time and provides key data at their fingertips. Tracking down customers, leads or whatever the case may be can be difficult and missed opportunities equal lost revenue. However, with a CRM app, business owners do not have to bend over backwards to increase sales and know what’s going on, all they have to do is access their CRM app and find information they’re looking for. Customers love companies and brands that make them feel like they matter, and will stick around longer. If customers are emailing you about something that could be improved, or have a general complaint, and you’re too busy with something else, they will leave and find a competitor that uses a CRM to ensure relationships are maintained and nurtured to up-sell, cross-sell and sell new products or services. Repeat customers are much more profitable than new customers. 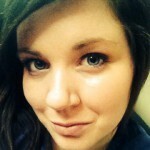 Michelle is a freelance editor, writer, and a contributor to the Project Growth blog.